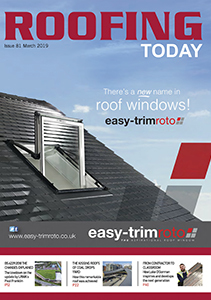 A family from Luton who were left with no doors, windows or heating after a cowboy builder and his team abandoned works, have been thrilled by the generosity of a local roofing company. 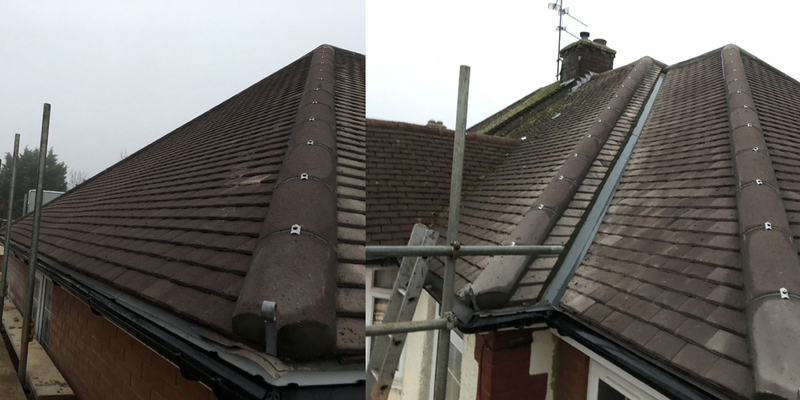 Luton-based, BPL Roofing Ltd came to the rescue of the family after the company’s operations manager, Emily Stratton, spotted a Facebook post about the disastrous project. The post told how the Malik family had given their builder thousands of pounds who stopped work mid-project and became uncontactable. It provoked numerous outraged comments sympathising with the family about the lost money and the state that the house was left in. 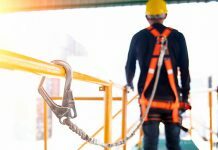 “After seeing the post, I felt extremely bad for the family and spoke to our director, Ben about it with the hope that if we offered to help, other trades would follow, ” said BPL’s Emily. The family were quoted £48,000 for a ground and first floor extension on five-bed property. The extension was vital for Anna’s 23 year-old disabled brother, who was recently told he will soon be immobile. 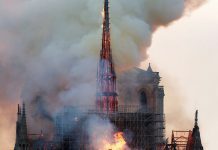 However, after handing over £38,000, the building work stopped leaving walls half removed, piles of rubble and windows removed and left without coverings. Anna, along with her brother and father, were given little choice but to sleep in their living room to keep warm. The family, who had recently moved to the area from St Albans, found the Luton-based builder online and, after the recommendation of a well-known local architect, signed a contract in February 2018 for work to begin. 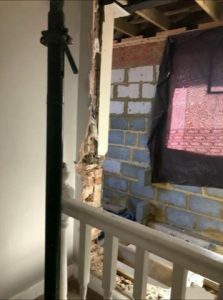 The builder’s dangerous and shoddy workmanship soon became apparent when Anna returned from work one day to find a leaking gas pipe that had simply been concreted over, and a roof leak that left water dripping onto their kitchen cooker. 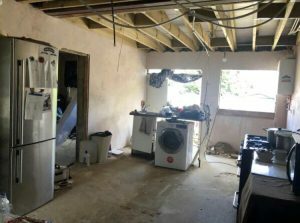 Although the family tried to address the issues with the builder at the time, they were told that more money was needed for extra materials to fix the issues. During the four months that the builder worked on the house, two of the team disappeared from the job, leaving just two others to carry out the extensive plans. 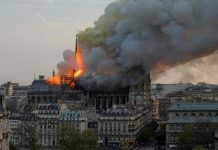 The project was eventually stopped in its tracks by Building Control, which found that the weight of the roof was resting on one single wall and could have potentially collapsed at any moment. The report from Building Control was the last straw for Anna, who took to Facebook to air her grievances to friends and family. 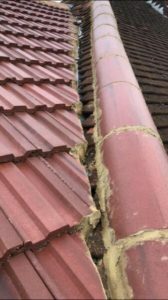 Once the post had been picked up by Emily from BPL Roofing, the company’s director, Ben Large, went to meet the householders to agree on plan of action to put right all the damage done. 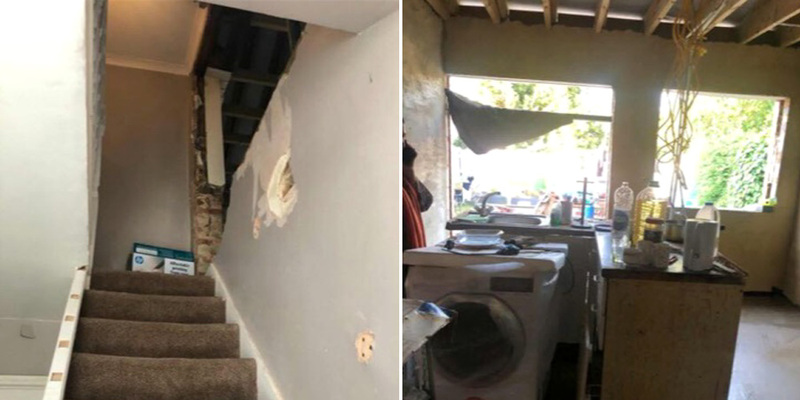 The family are currently hoping to get the remainder of the building work left behind by the cowboy builders completed by local trusted tradespeople. Once the work is finished on the house, they plan to take the building company to court in the hope that it will save other homeowners from being ripped off by the firm in future. 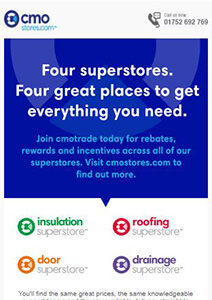 Next articleInterserve – Another Carillion?